Dr. Kondratov studies the roles of the circadian clock and diet in aging. While it is well understood that what you eat will impact your health, the time of day that you eat impacts your internal daily rhythms as well. Dr. Kondratov and his team will study the responses of circadian-controlled processes to calorie restriction, which has been linked to health benefits and potentially longer life. Understanding the molecular mechanisms of calorie restriction may assist in the development of strategies to increase longevity. Dr. Kondratov acknowledges GRHD, BGES, and the Office of Research for financial and administrative support to maintain a rigorous research program in his laboratory. 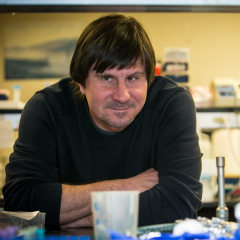 Dr. Kondratov’s scientific contributions have been recognized through an invitation to serve on the Cellular Signaling and Regulatory Systems Study Section of the NIH’s Center for Scientific Review, beginning July 1. Study section members review and make recommendations on NIH grant applications while reviewing the status of their field of science. Selection is based on the quality of research accomplishments, publications in scientific journals, and other significant scientific activities, achievements and honors. 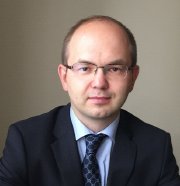 Congratulations, Dr. Kondratov! Maksim Isakin joined CSU in fall 2016 as an assistant professor in the Department of Economics. Dr. Isakin received his Ph.D. in economics and finance in 2016 from the University of Calgary. Prior to his doctoral studies, he worked as the Director of the Centre for Applied Economics, a consulting department at the Higher School of Economics in Russia. Dr. Isakin studies financial markets in the presence of informational imperfections. He focuses on the riskiness of collateralized debt obligations (CDOs). Investment banks use these financial instruments to pool a large number of economic assets and create securities with allegedly very low risk. The market for CDOs demonstrated spectacular growth during the decade before the financial crisis of 2007/2008, but almost dried up following massive downgrades and defaults of highly rated securities during the crisis. Many experts believe that CDOs were at the core of the financial crisis. Dr. Isakin investigates the role that imprecise credit ratings for these securities played in the financial meltdown by developing theoretical models and evaluating the models using historical market data. 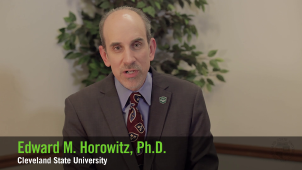 Research by Ed Horowitz, an associate professor in the School of Communication, is the focus of the latest installment of the Featured Researcher Video series. Professor Horowitz’s research focuses on political socialization and how young adults learn about politics from parents, schools, friends, and media. Click here to watch. Basic research lies at the core of U.S. innovation. Most of the technologies that surround us started from breakthroughs in basic science. The critical importance of funding for basic research is highlighted in an opinion piece by Rush Holt, CEO of the American Association for the Advancement of Science (AAAS) and Executive Publisher of Science and Maria T. Zuber, chair of the National Science Board (NSB) and Vice President for Research at MIT. Basic research, especially via academic institutions such as CSU, is a major driver of innovation and economic growth. “The Future Postponed 2.0,” a report funded by the Alfred P. Sloan Foundation, highlights these innovations and the threat of declining investment. 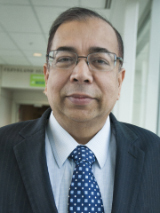 As marketing moves toward a digital knowledge paradigm, Professor Ashutosh Dixit researches marketing theory and practice revolution resulting from the adoption of transformative intelligent agent technologies (IATs). Dr. Dixit and his collaborators are taking the first steps toward developing a marketing-centric definition and a systematic typology of IATs based on marketing concepts (market governance, customer orientation, competitor orientation, and learning orientation) and IAT characteristics (search, analysis, autonomy, negotiation, and collaboration). His recent paper "Research framework, strategies, and applications of intelligent agent technologies (IATs) in marketing," published in the Journal of the Academy of Marketing Science, was selected to be a finalist for the Sheth Foundation Best Paper Award. Kathleen Diehl, an assistant professor in the Department of Theatre and Dance, will premiere her new work glassPoints at the CSU Spring Dance Concert. glassPoints explores various compositions by Philip Glass to capture the multifaceted nature of points of view and perception, and plays on the idea of imagery associated with glass materials in terms of quality, function, and sound. In addition, she will premiere a new duet 3 spaces with musician Matt Ryals and perform in/out, which she also choreographed, as part of a trio at the concert. Prof. Diehl, who joined CSU in fall 2016, takes pride in her students’ creativity, commitment, enthusiasm, and growth, and how their lived experience of performing contributes to their development as dance artists. In January, she premiered the structured improvisation Illuminations of Identity at the Galleries at CSU, and she will perform at the Edinburgh Festival Fringe this summer. The Department of Theatre and Dance’s Spring Dance Concert will take place on Friday, March 31 and Saturday, April 1 at the Allen Theatre. Vice President for Research Jerzy Sawicki participated in the recent Academic Research Roundtable organized by the Defense Advanced Research Projects Agency (DARPA) Defense Sciences Office (DSO), where they announced the opportunity for faculty researchers to meet with the DSO to discuss mutual research interests. Meetings will be held on June 15, 2017 in Arlington, Virginia. Interested faculty should submit an executive summary of an innovative and revolutionary research idea that fits DSO’s mission, which is described here. Please submit your executive summary by March 23 to Dan Simon at d.j.simon@csuohio.edu for discussion and feedback. Your one-page executive summary should summarize your proposed project by succinctly conveying the main objective, key innovations, expected impact, and other unique aspects of the project. Your summary should include a precise, jargon-free, one-sentence response to at least the first five of the following questions: (1) What are you trying to do? (2) How does this get done, at present? (3) What is new about your approach? (4) If you succeed, what difference do you think it will make? (5) How long do you think it will take? (6) Can we transition to your new science/technology? (7) How much will your project cost? Also, identify your project’s underlying scientific phenomena or hypothesis, describe how your concept will lead to disruptive science or technology, and identify any unique traits that you bring to bear on the problem. Naval Surface Warfare Center, Crane Division (NSWC Crane) will participate in a “Technology & Innovation, Industry & University Exchange” event on April 11 at Ohio Aerospace Institute. NSWC Crane representatives will discuss how to do business with Crane, areas of expertise they are exploring, and partnership agreements. Technology areas of interest to CSU faculty include testing, manufacturing methods, optics and lasers, antennas, sensors and communication devices, and software. Registration information for the event can be found here. CSU faculty can register as OAI members. Interested in data analytics, geospatial science, or public policy? CSU, in partnership with DigitalC and the Cuyahoga Metropolitan Housing Authority (CMHA), will host the CLE Housing Hackathon on April 7 and April 8. The goal of the event is to identify better methods to illustrate well-resourced areas to families participating in the Housing Choice Voucher Program (HCVP).